Copywriting is a skill very much in demand by some of the biggest brands in the world. From emails to jingles, flyers to brochures, a copywriter uses persuasive language to advertise a product, idea or service in a variety of forms. To touch upon just one area where copywriters can shine, as many as 66% of companies with 100+ employees use Twitter as a vital part of their marketing strategy. The demand for short, sharp and snappy lines has never been higher, nor the opportunities for freelance copywriters greater. 01 | What is copywriting? 02 | What does a copywriter earn? 03 | What skills will I need? 04 | How do I create a freelance copywriter business plan? 05 | What are the regulations? 06 | How do I find freelance copywriter jobs? Read on for a comprehensive breakdown of what you need to know to become a freelance copywriter, featuring tips and advice from experts in the field. 1. What is a copywriting business and who is it suited to? Copy is essentially jargon for ‘words’, and refers to writing that’s meant to be copied (either digitally or in print). Intelligent, powerful copy convinces consumers to switch brand allegiance, generates leads, and supercharges sales. It’s no exaggeration to say the success of a campaign will hinge on the quality of its written content. Requiring only an internet connection and a laptop, copywriting represents a very affordable start-up opportunity for someone with a good grasp of grammar and a way with words. One of the trickiest parts about starting out as a freelance copywriter is understanding what to charge. While you don’t want to undersell yourself, high prices might put potential clients off – especially when you’re still establishing a reputation. “When deciding on your day rate, think about how much you need to earn in a month or a year, then work back from there – remembering to factor in tax, holidays, and dips in your workload, which will eat into the annual total. Doing that helps you work out what you reasonably need to charge to earn a living – after all, if you aren’t doing that, it isn’t a sustainable career. “How much you personally need to live on will obviously depend on where you’re based and your personal circumstances. “In my experience, a decent day rate would roughly span between £200 and £500 per day, depending on your experience, expertise, the type of copywriting you specialise in – and the client’s budget! According to the ProCopywriters Survey of 2017, the average daily rate charged by freelance copywriters is £339, with the vast majority charging somewhere between the £200-£400 mark (per day). What does a freelance copywriter earn? While some forms of copywriting are more lucrative, they can also be more competitive and harder to find work in. According to Howard Smith, founder of No Sloppy Copy, working as a technical copywriter for a niche market is the best way to pull in regular money. “In Pharmaceuticals, IT, or finance etc., you can earn up to £600 per day.” Although this work won’t be the most creative and will require much more research, it does sit at the higher-paying end of the copywriting spectrum. 3. What skills will I need as a freelance copywriter? A comprehensive understanding of the English language is a must – a major marketing campaign could become a laughing stock at the mercy of a stray apostrophe – but not just any willing wordsmith can make it as a copywriter. You’ll also need to be a quick learner, so you can tackle new concepts and products with ease. Although it’s relatively hassle free and low-cost to set yourself up as a copywriter, it’s a very competitive commercial space. Writing a business plan will ensure you stay focused on where you’re going and what you’re trying to achieve. “The most important thing to decide is how you want to work. Some copywriters work directly for clients, while others work as outsourced freelancers for advertising, PR, design and digital agencies. Tip: If you don’t possess a great deal of numerical or financial savvy, you should get in touch with a good local accountant to help you keep your affairs in check and above board. You’ll also need to register as self-employed with HM Revenue and Customs to ensure you pay the correct tax. Whether you decide to specialise early, or would rather ‘shop around’ first, will totally depend on your approach to work. If you can adapt easily, then turning your hand to a wide variety of styles will be a valuable experience. However, if you like consistency, then specialising early and mastering your niche would be better for you. Tip: Other copywriters aren’t the competition – consider collaboration. It helps to have a team of professionals who have different skills or knowledge of specific industries. Link up with other writers who can add to your knowledge, and don’t be afraid to collaborate – working with other writers is beneficial, as you can share ideas and techniques. When a copywriting business starts to take on professional copywriters and provide them with work, it can become more of a copywriting agency. An agency can employ staff or freelance copywriters to provide services to businesses on a for-hire or per-project basis. Another advantage of setting up a copywriting business is the lack of red tape involved, meaning you can get up and running without any qualifications and very little hassle. Smith adds that “you’ll need a good working knowledge of the UK Advertising Codes”, as “some industries are subject to specific guidelines that regulate the promotion of their products and services.” This includes tobacco, alcohol, pharmaceuticals and financial services. 6. How much does it cost to start your own copywriting business? In the words of Dibble, all you need is “a desire to write, a phone, a laptop and an internet connection.” This means the overheads are relatively low compared to other professions. For more information on how to work from home, check out this handy guide. On these pages, we’ve put together guides to the best laptops and best business mobile phone plans if you want to make sure your setup is as good as it can be. If you’re going to use a dedicated space in your home as an office, then a “quiet, clear, well lit space, a nice large screen, and a variety of other comforts”are all conducive to a good work ethic and mood, suggests Blume. Having an office that’s separate from your living space will help you separate your home and working life, and help you avoid distractions. Alternatively, if you feel you can afford it, you could choose a coworking space so you still benefit from the advantages of a social environment. There are a huge variety of spaces available, with options ranging from payper-day hot-desking to longer-term desk rental. Have a look at our guide to coworking spaces in London and around the UK to decide what might be right for you. 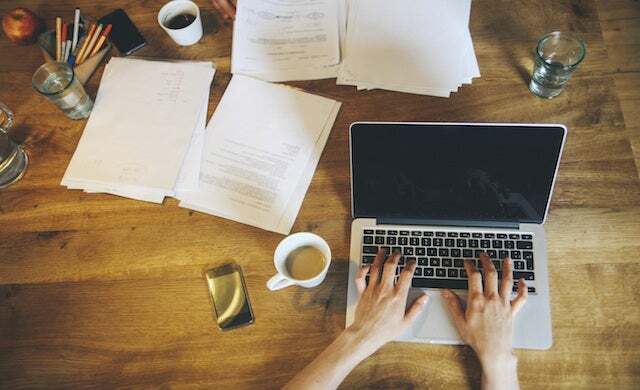 Now you know the seven steps to copywriting success, it’s time to have some fun building a network, creating new contacts, and writing some top class copy!